Six months after the 2015 earthquake we were shocked to witness the devastating effects for children, especially girls who are more at risk. 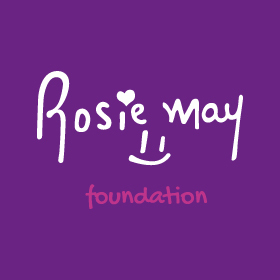 A Rosie May Foundation trek through the Himalayan mountains became the catalyst for us to help get children back into classrooms in a remote Sherpa village in the lower Everest region of Nepal. During our trek we formed a friendship with our trek guide Wangda Sherpa who told us that his village school had collapsed and little aid had reached his community. Since the earthquake, there has been a noticeable rise in trafficking in rural communities, due to increased poverty and schools not being rebuilt. A quality education and a nutritious meal for children at Meselme is a significant incentive for parents to ensure that their children not only attend school, but importantly stay together with their loving family. 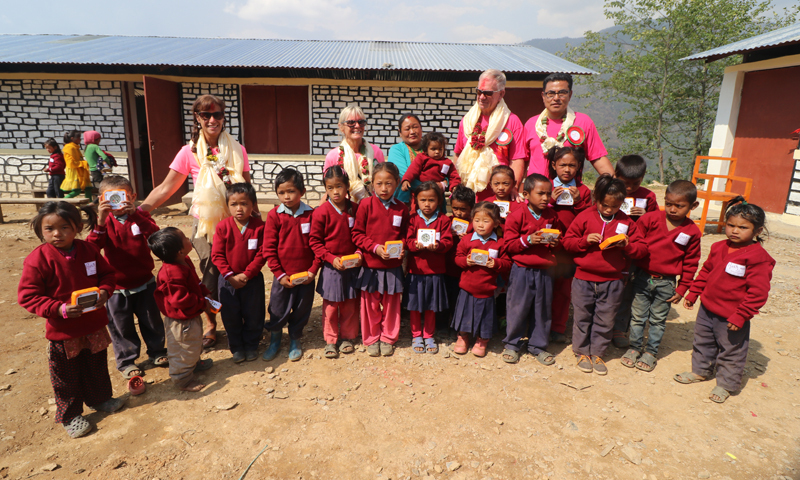 Partnering with UNICEF, SAHAS Nepal, the local community and education authority, we have rebuilt an approved earthquake resilient school in the village of Meselme, Nepal. Up to 50 children are now able to return to their classrooms and resume their primary education. 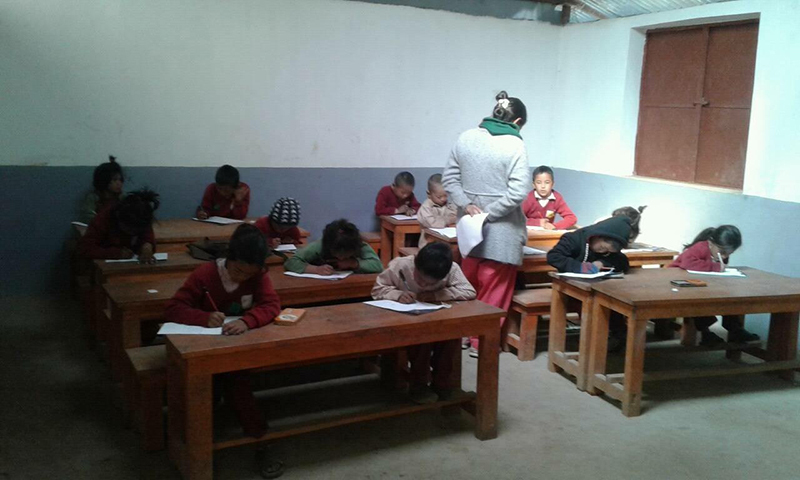 30 children from the village are already back into education at their newly rebuilt school. The inauguration of Meselme school was in April 2017 and officially opened by co-founders Mary and Graham Storrie and trustees, Don and Jenny Murray from Brisbane, Australia. Why is Meselme Primary school needed? 8, 617 people were killed in the earthquake with 5.6 million affected in some way by the quake (UN OCHA). 16,000 public and private schools (half of the country’s total) were damaged by the 7.8 magnitude earthquake (UN OCHA). 5,000 schools were completely destroyed by quake (UN OCHA). Estimated that 950,000 children could no longer attend school in the immediate aftermath of the earthquake as their classrooms had been destroyed (UNICEF). 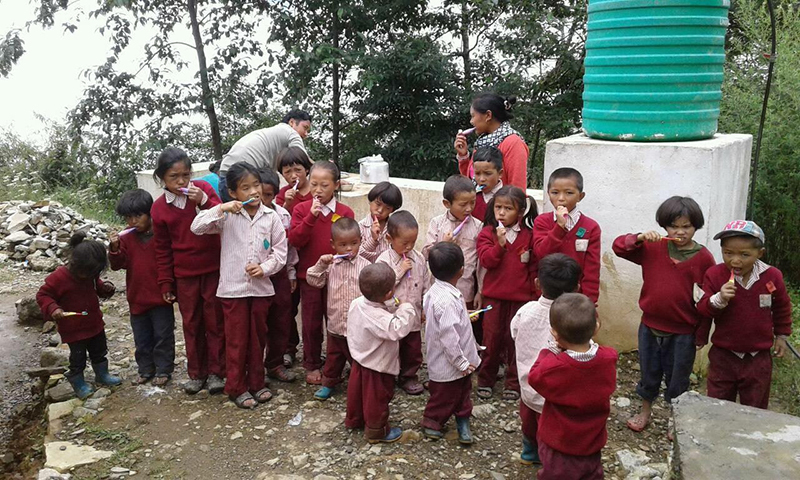 41% of children under 5 in Nepal have stunted growth and 29% are underweight (World Food Programme). Average food prices in the mountains and rural areas are over 100% higher than in other locations (World Food Programme). Educate: Providing children living in a remote community with a quality education, offering them a route out of poverty. Improve Health: By offering free school meals to children, the project aims to reduce hunger and improve health in young children. Stabilise and Strengthen families through education to prevent children falling victim to traffickers and early marriage. Article 29 – Goals of education: developing personalities, talents and abilities to the fullest. My name is Lapka. I am six years old. My school collapsed on a Saturday, which is the only day I do not go to school, so I was not hurt. My mum was frightened there would be another earthquake, so she would not send me back to the school. When she found out that my school was being rebuilt and it was safe she was glad to send me back. My dad is a porter and my mum works on our land, but sometimes, especially in the winter, there is not enough food, so my sister and I go to bed hungry. My mum and dad are happy now that we have a hot dinner every day at school and our tummies are full. Where next for Meselme Primary School? 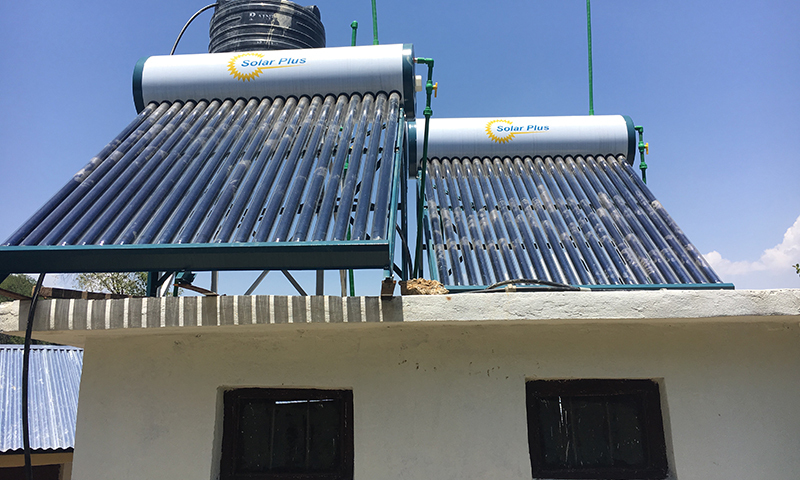 A three year development programme working closely with teachers and parents aims to achieve a high standard of education and sustainability by promoting ownership through community participation.